I want to share a tooth story with you about a young boy who avulsed his tooth. He had been playing with a friend; they were spinning around, his friend let go, and the boy fell to the ground. His face hit, and the impact avulsed tooth #8. His mom was frantic and couldn’t find any dentist who could help her right then. She had the foresight to put the tooth back in, but she was worried that her son might choke on it while he was sleeping, so she took the tooth back out of the socket and placed it in milk overnight. First thing in the morning, she tried to put it back in, but the clot prevented her from doing so. She replaced the tooth in milk and finally got in to see their dentist that same day. Over a month later, there was evidence of inflammatory resorption and bone loss. That’s why my office received the referral. 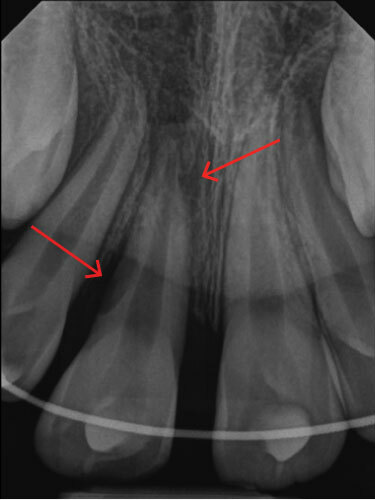 In the image, you can see the apical resorption and lateral root resorption, along with some bone loss. I admit I’m very sensitive when it comes to child patients, because I feel like teeth are such an important part of making someone who they are. I can’t imagine living without my front tooth growing up; it would’ve had such a huge impact on my self-esteem. I won’t lie, I got pretty fired up when I met this boy! I feel like several pieces of his case were mismanaged, and I really had to bite my tongue. I thought to myself, If that dentist didn’t know the trauma guidelines, then chances are, others don’t know them, either. This is an important case to share because I think dentists and the general public alike can learn many lessons here. My hope is we can save children’s teeth from this blog post! At least three things went wrong in this tooth avulsion case, so I want to offer alternative solutions. First, extraoral dry time was long. Based on this information alone, you have to prepare the parent to expect some resorption and possible loss of tooth. The good news is that the patient’s mother did put the tooth back in; she took it back out at night and the next day, during which time she put it in milk. What can be done: Educate your patients that milk will buy avulsed teeth about 6 hours, and the best thing to do is put the tooth back in the socket. 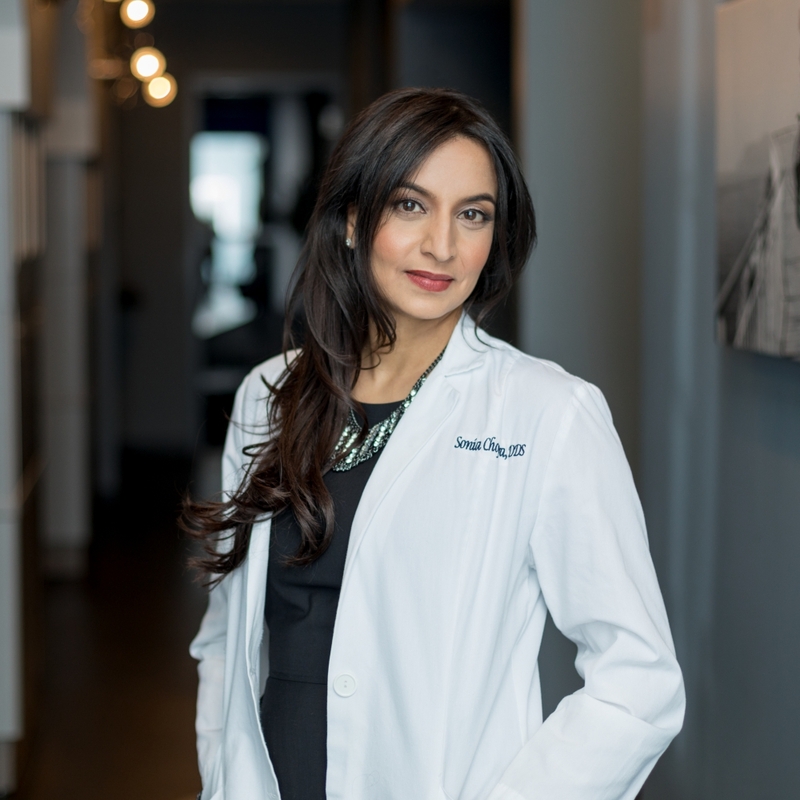 Educate your patients and the public on what to do when a tooth is avulsed. We could save smiles everywhere with this one little piece of information. Click to download my Tooth Trauma Guide to help educate your patients. Second, the dentist used NiTi ortho wire as a splint, and the splint was in place too long. Additionally, splinting too long can cause replacement resorption, so a splint should not be used any longer than necessary. What can be done: Studies show that, in cases like this, the best results come from using a physiologic splint, like a monofilament fishing line. This allows for some movement of the PDL and decreases the risk of replacement resorption (ankylosis). With an avulsion, you only need to splint for about 2 weeks, and definitely no longer than 4 weeks. Splinting too long can also increase your chances of resorption. Third, waiting to do a root canal as long as occurred in this case can cause inflammatory resorption. What can be done: After an avulsion with a fully formed root, root canal therapy should be started around 10-14 days after the trauma. We were able to start the boy’s treatment right away when he was referred to my office. We immediately removed the splint and did a pulpal debridement of the canal to remove the bacteria. Next, we placed calcium hydroxide paste in the canal to medicate over time. The calcium hydroxide will sit in the tooth for one month, after which we’ll switch to a USP calcium hydroxide mix to pack into the canal. That will sit for a few more months, until we see the PDL to re-establish itself. My brave patient is still in treatment, so stay tuned to the blog for an update when all is said and done. We don’t know what the outcome will be just yet, but we are hopeful that we can save this tooth. In the meantime, learn from the lessons of this case for the benefit of your own patients. I believe we all “know of” the guidelines but could always refresh our general and family Dental teams. 1) if you’re unsure of what to do, refer. 2) I keep a tooth trauma chart readily available in the office. But I could do a better job of reviewing this information on a yearly/ by yearly basis. This is CPR for a tooth! We should all review our guidelines. Thank you Sunny – you are so right!